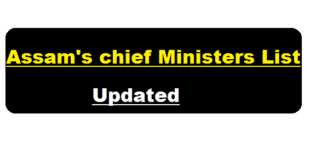 In this article we will mention you Chief Minister List of Assam. In this list we have also mentioned the working period of each chief minister of Assam along with their party name which they belong to. We will update this post whenever any changes required in future. 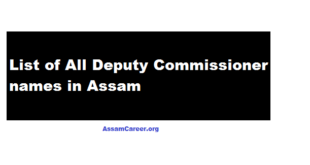 List of DC Assam's all Districts : In this article we will be mentioning the names of Deputy Commissioner of all the 33 Districts in Assam. This list is the updated DC name list of 2018. We will update this post whenever any changes required in future.